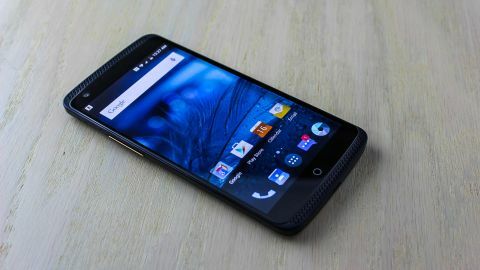 The ZTE Axon poses as a high-end metal phone at a low price, so there was a big debate regarding its camera. Does it take excellent photos or is it simply a budget shooter? Like almost everything seen so far, the ZTE Axon camera is decidedly mixed. With enough light, it's able to capture decent, but not remarkable photos through its neat dual-lens camera. There's a 13-megapixel (MP) camera on the back along with a smaller 2MP accomplice right above it. The combination allows me to refocus pictures, even after they were taken, as long as I'm using the special bokeh effect mode. It's similar to HTC One M8's Duo Camera, only I get slightly better results with the Axon camera. The problem is that, while all of my outdoor shots look better than any indoor photo, they were too sometimes overexposed when there was a lot of light. More often, pictures exhibited softer detail. It was almost as if that somehow-popular skin smoothing beauty effect on "selfie" cameras were used for this rear camera, too, and applied to everything in sight. I appreciated the entertaining bokeh mode, the optional manual controls and the dual LED flash. However, the lack of detail really becomes apparent, given Axon's stepped-up quad HD display. This is one area in which ZTE doesn't quite live up its rivals, despite all of its fun refocusing powers. The 8MP front-facing camera is closer to the quality of its higher-priced competition and boasts an 88-degree wide angle lens to capture more of your selfie... self. I find the shots too grainy in low-light situations, but passable. What really helps here is the side-mounted dedicated camera button. It's a nice touch for snapping selfies when your arm is stretched out to the max. There's also a neat software trick that detects a smile and captures shots when you're beaming your pearly whites. There's not too much happening with the ZTE Axon's video capturing capabilities. The no-frills default camera software starts recording as soon as you switch over to video mode. It's able to shoot at a 4K HD resolution of 2160p at 30 frames per second, though lower resolution options are still available: 1080p, 720p, 480p and a convenient MMS video setting. The front camera maxes out at 1080p, as expected.